With the launch of the New 2DS XL, New 3DS and the New 3DS XL there are now six models in the Nintendo 3DS range. However, with enhanced 3D technology, larger screens and faster processors, the New 3DS and New 3DS XL are significantly better than the original 3DS and 3DS XL and often cheaper nowadays. If you're not bothered about 3D visuals, you'll be able to save even more money by opting for the 2DS or the recently announced New 2DS XL. Keep an eye on this page as we'll be bringing you the best 3DS deals as soon as they are released by retailers all year round on all available models. The screen is larger on the New 3DS than the original measuring at 3.88 inches on the top screen with enhanced 3D (compared to 3.5 inches) and 3.33 inches on the bottom (up from 3inches). You can now preorder the New 2DS XL, the newest entry to the 3DS family. The wedge design of the first 2DS has been ditched for the traditional clamshell form. We think this is much more appealing for grown-up gamers. The New Nintendo 3DS XL has a much larger screen than the 3DS, measuring 4.88 inches (top screen) and 4.18 inches (bottom screen). Perfect for gamers with hefty hands. It features new, enhanced 3D technology, as the New 3DS, that adjusts automatically based on your head and eye movement. This make is much more fun to use when travelling on public transport as well as improving the colour reproduction. The Nintendo 2DS is still a popular console, especially with parents. The hinge mechanism on the 3DS models is a potential breakable spot and the flat wedge-like tablet design removes the issue. As the name suggests the 2DS does not have any 3D effects. A good option if you can't get on with 3D. Though you can turn this down, or even off, on the 3D models. The 2DS has the same processor and the same array of sensors, as the original 3DS, meaning 3DS games will work on the console giving you plenty of choice. However, the New 3DS and the New 3DS XL feature a new processor and it is likely Nintendo will release games which are only compatible with the new models in the future. Something worth considering. Looking for one of the older models? 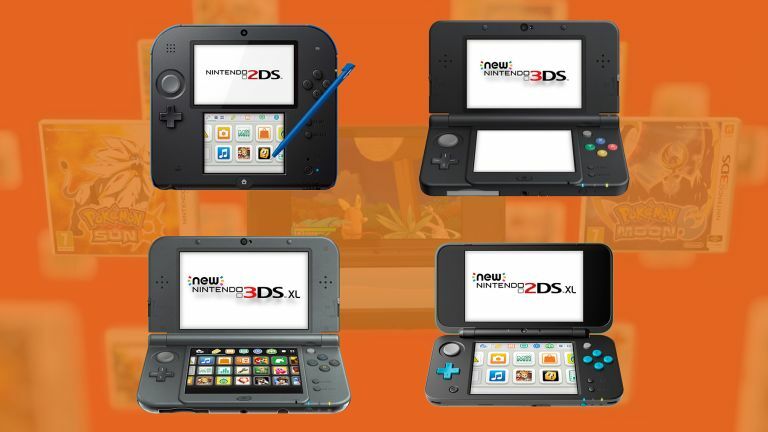 Though we believe the top four are the best models to consider when purchasing a new Nintendo 3DS. If you'd rather have an older model, the 3DS XL (not to be confused with New series) is still available. The original 3DS seems to be more expensive than the new model now and is longer in production, so we've removed the price comparison chart from our guide. If you want a new game for your New 3DS be sure to check out our best deals below on some of the best 3DS games.